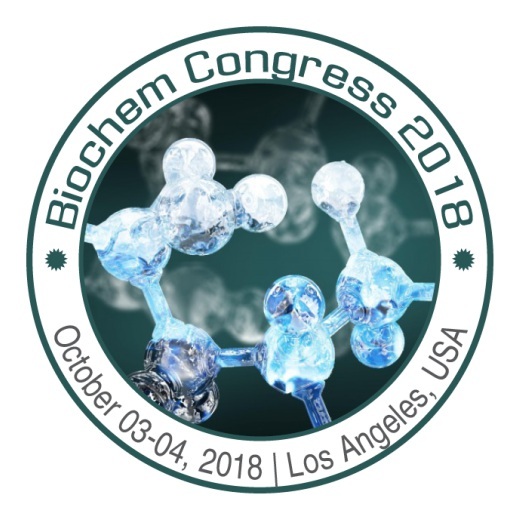 Conference Series LLC Ltd invites all the participants across the globe to attend 4th International Conference on Biochemistry & Metabolomics Los Angeles, California, USA. Suzanne Scarlata is a Professor Emeritus of Stony Brook University and a Whitcomb Chair at Worcester Polytechnic Institute. Most of her research has focused on the regulation of G protein signaling in model systems and in cultured cells using primarily fluorescence methods. The work presented here represents an unexpected connection between the impact of extrasensory information and post-transcriptional gene regulation through the Gαq/phospholipase Cβ signaling pathway. RNA-induced silencing is a process which allows cells to regulate the synthesis of specific proteins. RNA silencing is promoted by the protein C3PO (component 3 of RISC). We have previously found that phospholipase Cβ, which increases intracellular calcium levels in response to specific G protein signals, inhibits C3PO activity towards certain genes. Understanding the parameters that control C3PO activity and which genes are impacted by G protein activation would help predict, which genes are more vulnerable to down-regulation? Here, using a library of 1018 oligonucleotides, we show that C3PO binds oligonucleotides with structural specificity but little sequence specificity. Alternately, the rate of hydrolysis is exquisitely sensitive to the substrate stability. Importantly, we find that oligonucleotides with higher Tm values are inhibited by bound PLCβ. This finding is supported by microarray analysis in cells over-expressing PLCβ1. Taken together our work enables predictions of the genes whose post-transcriptional regulation is responsive to the G protein/phospholipase Cβ/calcium signaling pathway. Dr. Mirzaei’s research is focused on finding the target of novel and FDA approved compounds using a combination of proteomics, computational biology and biochemistry. Many FDA approved drugs are currently in use without clear understanding of their mechanism of action. On the other hand there are quite a few well-characterized natural products with unknown targets. Dr. Mirzaei uses systems biology to understand the drug’s mechanism of action by identifying the target of the drugs and their cellular and organismal phenotypes. Advances in modern medicine have led to increased life expectancy. As aging population increases, finding a cure for age-related cognitive decline is becoming more and more important. A hallmark of neurodegenerative diseases, one of the main pathologies underlying age-related dementia, is the deposition of insoluble proteins in cells of the neuromuscular system causing proteotoxicity. Substantial literature suggests that the primary inducer of proteotoxicity in aging is chronic deterioration of defense machineries including antioxidant, heat shock, and degradation systems. Deterioration of defense machineries create imbalances in aggregation and clearance pathways leading to proteotoxicity by altering aggregate dynamics, localization and aberrant interactions. One of the main targets of toxic proteins aggregates is mitochondria resulting in mitochondrial dysfunction and increased oxidative stress. Nuclear factor (erythroid-derived 2)-like 2 and its Caenorhabditiselegans ortholog, SKN-1, are transcription factors that have a pivotal role in the oxidative stress response, cellular homeostasis, and organismal lifespan. Similar to other defense systems, the NRF2-mediated stress response is compromised in aging and neurodegenerative diseases. Here, we report that the FDA approved drug hydralazine is a bona fide activator of the NRF2/SKN-1 signaling pathway. We demonstrate that hydralazine extends healthy lifespan (~25%) in wild type and tauopathy model C. elegans at least as effectively as other anti-aging compounds, such as curcumin and metformin. We show that hydralazine-mediated lifespan extension is SKN-1 dependent, with a mechanism most likely mimicking calorie restriction. Using both in vitro and in vivo models, we demonstrate that hydralazine has neuroprotective properties against endogenous and exogenous stressors. Our data suggest that hydralazine may be a viable candidate for the treatment of age-related disorders. Professor Ubukata earned a Ph.D. from Hokkaido University in 1980. After postdoctoral fellowships at Indiana University and RIKEN, he became Scientist at RIKEN in 1984. He was appointed a Professor of Biotechnology Research Center, Toyama Prefectural University in 1995. In 2003, he moved to Sapporo as a Professor of Department of Agriculture, Hokkaido University. He is the recipient of JSBBA Award for Young Scientist (1989), Sumiki-Umezawa Memorial Award (1995), Japan Prize of Agricultural Science (2017), and The Yomiuri Award of Agricultural Science (2017). He has been Professor Emeritus since 2015 and JSBBA fellow since 2016. His current research interest includes the study on structure and function of biologically active small molecule, which might save directly or indirectly a number of people. In this congress, I will outline my way of thinking about biologically active small molecules. We discovered many biologically active small molecules. Ascamycin was Xanthomonus specific antibiotic, cationomycin was a polyether ionophore antibiotic, liposidomycin B was an inhibitor of peptidoglycan biosynthesis, tautomycin and tautomycetin were later put into practical use as biochemical reagents. Reveromycin A also was utilized as a biochemical reagent and a candidate drug for osteoporosis, epiderstatin was discovered as a glutarimide antibiotic, (+)-indocarbazostatin and (–)-indocarbazostatin B are inducers of neulite outgrowth in PC12 cells, (+)-epogymnolactam was discovered as an authophagy inducer isolated from Gymnopus sp. Rediscovery of mycophenolic acid as a latent agonist of PPARg led to development of many interesting inhibitors against HDAC, human IMPDH, and T. congolense IMPDH. The study of TcIMPDH led to the identification of TcGMPR. We recently discovered an existing drug as a potential therapeutic agent for immunodeficient model mouse infected with Cryptosporidium parvum via newly developed high-throughput screening for CpIMPDH inhibitors. A biologically active small molecule may save directly or indirectly a number of people. Even if the molecule has not been used as therapeutic agent, it can be used as a useful chemical probe for dissecting a living cell into different biochemical pieces. Such biologically active small molecules derived from microorganisms have been primarily found in cultivable microorganisms that make up only 1% of total microbes in nature. If you can cultivate previously uncultured microorganisms that accounting for the other 99% of microorganisms, the possibility to discover new biologically active small molecules will expand. We discovered zincmethylphyrin, zinc coproporphyrin, and coproporphyrin as novel growth factors for uncultured Leucobacter sp. These findings may provide a general strategy for discovering further biochemical reagents, antibiotics, and therapeutic agents for the treatment of refractory diseases.